— Conduct a campus climate survey in April 2019. The Campus Experience Survey will develop an evidence-based understanding of the lived experiences of students, faculty and staff, which will allow Cal Poly to drive new tactics and actions to spark change. — Hold multiple listening sessions to give the entire campus community a chance to share their experiences at Cal Poly. Sessions will be held in March. — Guide students, faculty, staff and administrators to understand the results of the survey and to develop a responsive plan of action. Throughout the process, workshops, professional development, training programs and other learning opportunities will be offered to thousands of campus citizens to increase their diversity and inclusion skills and abilities. — Help the university develop accessible measures of progress toward achieving the action plan. Visit www.calpoly.edu/inclusive-excellence-action-plan/ to learn more about the initiative and view a video of the announcement. A 12-year veteran of the University Police Department was honored by the CSU for saving the life of a suicidal student in 2016. Officer Chad Reiley, who has worked in law enforcement for 22 years, is the first UPD officer to receive the inaugural CSU lifesaving medal — the fourth highest award issued by the 23-campus CSU. 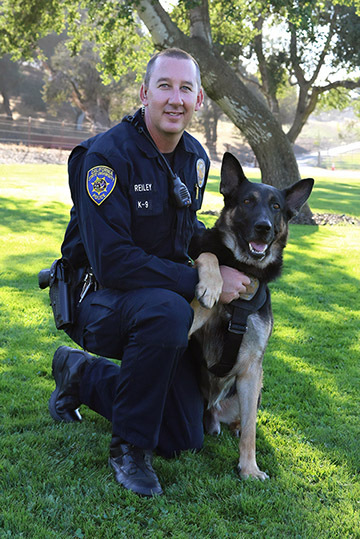 “I’m glad I was able to get a student help when he needed it,” the officer said. The CSU board of trustees created an award policy last August to recognize university police officers who engage in activities that “go above and beyond the course of normal duties and result in honor being brought to themselves, their campus and the CSU.” CSU Chancellor Timothy P. White presented the medal and a certificate to the officer. “The CSU is remarkably fortunate to have compassionate and courageous men and women serving in peace-keeping roles across all our campuses,” White said. “Truly, the colleagues we honor are deserving of the commendations we are awarding them. In addition to their own acts of courage, they represent the strength and commitment of all their co-workers within the university’s police department.” Read the full news release here. 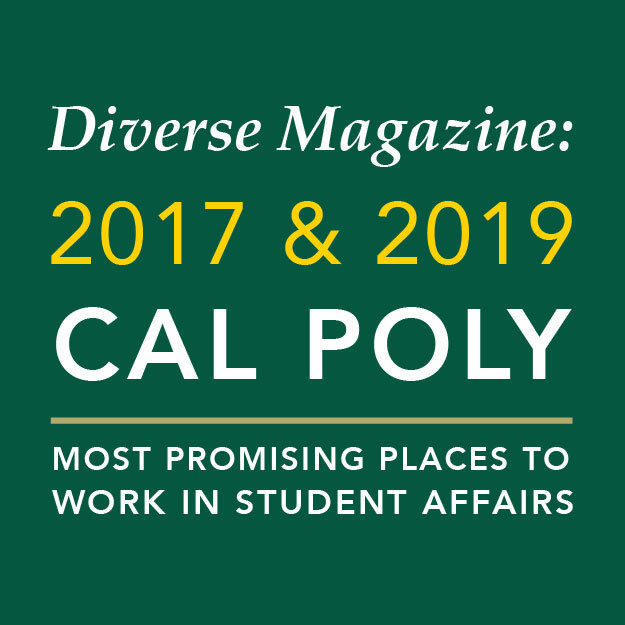 The American College Personnel Association (ACPA) and Diverse: Issues in Higher Education recently named Cal Poly as one of the Most Promising Places to Work in Student Affairs for 2019. The university previously earned the distinction in 2017. 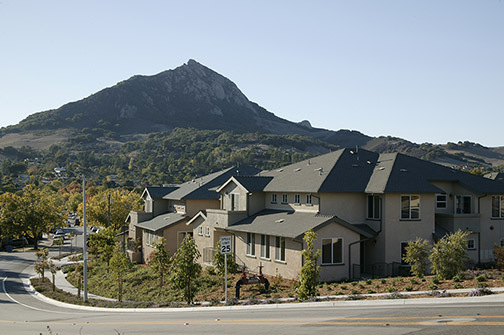 Cal Poly was selected from hundreds of higher education institutions across the country for its focus on workplace diversity, staffing practices and workplace environment. Additional categories included family friendliness, salary and benefits, and professional development opportunities, among others. “I’m honored to receive this amazing award on behalf of our division,” said Keith Humphrey, vice president for Student Affairs. “This is an award for every person in Student Affairs and all of our partners throughout the university who have made this possible. I am proud of our Student Affairs staff for the work they do every day and for their efforts to create an environment that is welcoming, safe and equitable for all.” Cal Poly is one of three CSU campuses to receive the national award this year, alongside California State University-Channel Islands and Sonoma State University. 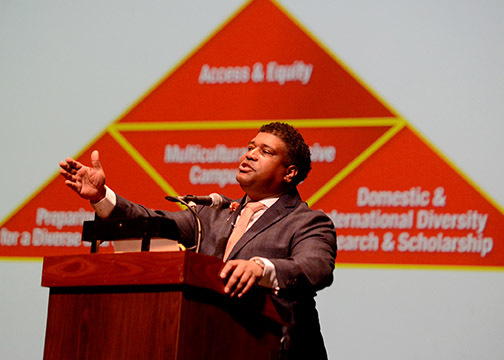 The complete findings will be published in the March 7, magazine edition of Diverse: Issues in Higher Education. Read the full news release. The Graphic Communication Department this week announced the achievement of its $200,000 fundraising goal for the Quad/Graphics Eric Steinbach Memorial Graphic Communication Endowment, thanks to a $100,000 matching grant from Quad/Graphics. 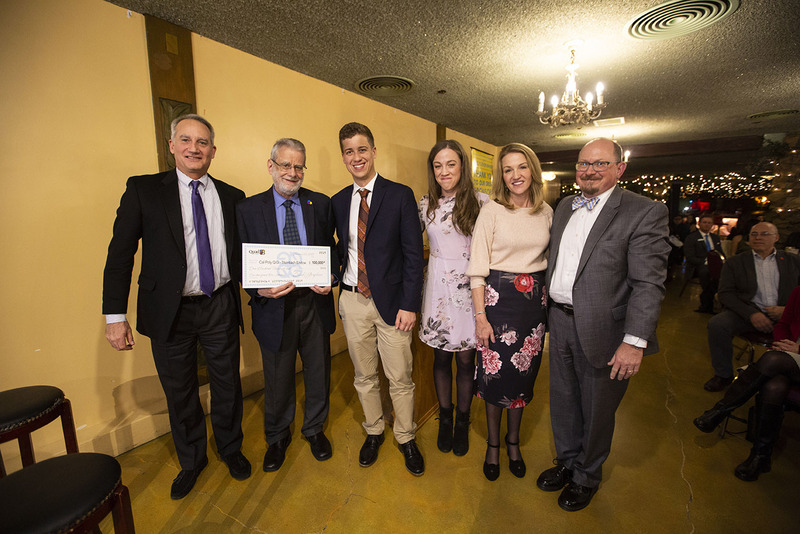 The matching contribution was presented by Quad/Graphics Chairman, President and CEO Joel Quadracci during Cal Poly’s annual International Graphic Communication Week celebration held Jan. 23 at the Madonna Inn in San Luis Obispo. 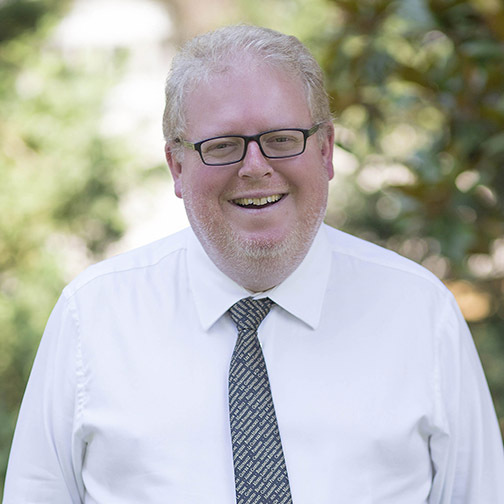 The initial $100,000 raised for the endowment came from family and friends of Eric Steinbach; Quad employees; Cal Poly alumni, faculty and staff; and corporations and investment funds. Proceeds from the Quad/Graphics Eric Steinbach Memorial Graphic Communication Endowment will be used to award student scholarships and for graphic communication program development. Read the news release to learn more. For the 27th consecutive year, the Orfalea College of Business will provide free tax return preparation assistance through the Volunteer Income Tax Assistance program. 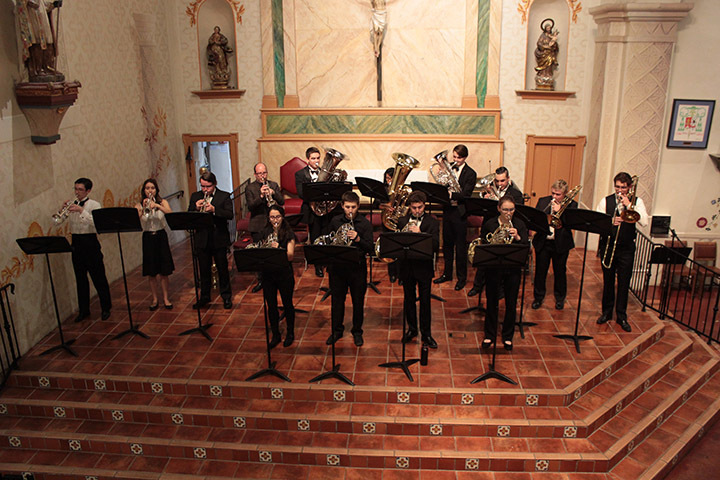 Clinics will be held in San Luis Obispo, Oceano and Santa Maria in February and March. Cal Poly’s on-campus VITA clinics will be held from 10:30 a.m. to 2 p.m. Saturdays from Feb. 2 through March 16. Sessions at the other locations will be by appointment. More than 125 Cal Poly accounting students will prepare tax returns as part of this year’s VITA program, which is sanctioned and coordinated by the Internal Revenue Service and California Franchise Tax Board. These IRS-certified students will prepare returns that will be reviewed and filed by Orfalea College of Business faculty and volunteer certified public accountants. Students will prepare basic forms for local individuals and families earning less than $54,000. These include 1040, 1040A, 1040EZ, 540, 540A, 540EZ and some supporting forms. The Cal Poly clinic will be held on the third floor of the Business Building (No. 3). Read the full news release. The Cal Poly Corporation board of directors approved four important business items during its Jan. 25 meeting, including a major renovation to Building 19 (Dining Complex), project support for a new beach volleyball complex, an updated beverage contract, and the establishment of a facility planning and design reserve. After the new Vista Grande Dining Complex opens in fall 2019, Cal Poly Corporation is planning to move forward with the renovation of Building 19, which currently houses 805 Kitchen, The Avenue and Poly Deli. The student-centric dining facility is part of larger improvements envisioned for the University Union, which aims to improve the overall student experience on campus. Taking inspiration from the Ferry Building in San Francisco, Chelsea Market in New York, and Krog Street Market in Atlanta, Building 19 will be home to nine separate food venues with outside seating and a deck. Building 19 was completed in 1961. The board also approved corporation staff assisting with the contract for an NCAA beach volleyball facility proposed for the south side of Mott Athletics Center; authorized staff to negotiate with beverage companies for pouring rights on campus; and established a $200,000 facilities planning and design reserve to streamline select minor capital improvement projects. 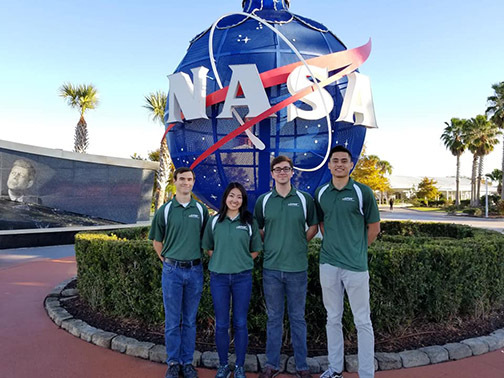 The Cal Poly Space Systems team was invited to compete at the national Alka-Rocket finals at the Kennedy Space Center Visitor Complex in Florida — one of five universities represented in the contest, held in December. Created by Bayer, a pharmaceutical and life sciences company, the challenge invites students to create rockets powered by Alka-Seltzer effervescent tablets. While the tablets can provide heartburn relief, they can also produce a reaction strong enough to launch small rockets, which is why the so-called Alka-Rockets are often used in American science classes to demonstrate the principles of chemistry and physics. A panel of judges, including former NASA astronaut Mae Jemison, invited Cal Poly Space Systems to compete in the challenge after seeing the design, execution and creativity of its rocket, which the team spent four months designing and building with a launcher. During the contest, the Cal Poly rocket went roughly 200 feet high. The competition provided great hands-on experience. 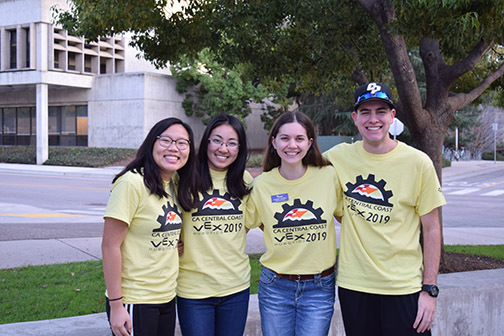 “Many of the newer members worked on the project to help them get more involved in the club, which was a great experience, especially with all of the more knowledgeable members as mentors,” said Lauren Fukaye, Cal Poly Space Systems’ public relations officer. Twenty-eight Cal Poly student-athletes earned 2018 Big West Conference Fall All-Academic Team honors. The Big West championship-winning Mustang women’s cross country team led the way with 10 selections, followed by the men's cross country squad — also conference champions earlier this year — with seven student-athletes earning the distinction. Cal Poly’s women’s soccer team followed with five honorees, and the men’s soccer and women’s volleyball programs each also saw a trio of student-athletes honored. Three student-athletes represented Cal Poly volleyball — back-to-back conference champions and NCAA Tournament participants, who ranked No. 22 in the final National Top 25 Poll. Cal Poly’s 28 honorees were the third-most around the conference, just one behind the 29 apiece from UC Davis and UC Santa Barbara. To make the team, student-athletes must have maintained at least a 3.0 cumulative grade point average through the most recent quarter; completed at minimum one full academic year at the institution, and competed in 50 percent or more of their team’s respective games, matches or meets (or in the case of cross country, if under 50 percent, entered the conference championships). Read the full news release. 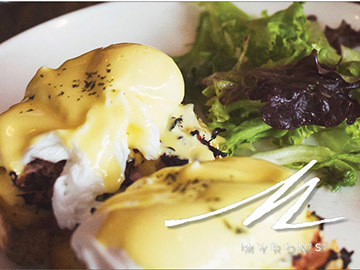 Myron's is hosting brunch on Friday, Feb.1, and is pulling out all the culinary stops. 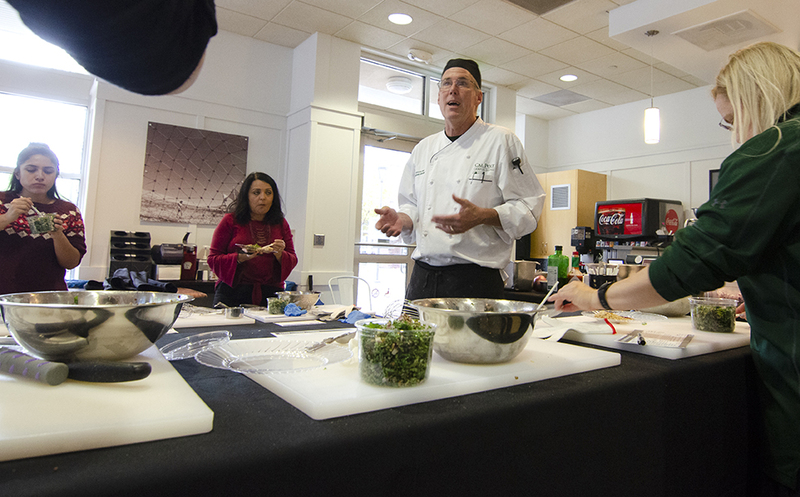 The two-hour special event will feature braised beef short rib benedict, poached Alaskan king crab benedict, smoked salmon avocado toast, vegan stuffed portobello mushroom, roast beef tenderloin with eggs and Cal Poly chorizo bacon, as well as a chef-attended omelet station. For $25.50 — three meal credits for students on a dining plan — visitors can enjoy a non-alcoholic beverage, entrée and crepe dessert. The brunch will be held from 9 to 11 a.m. at Myron's, located upstairs in the Dining Complex (No. 19), across from the Recreation Center. No reservations are needed; this is a first-come, first-served event. Following a private event, Myron’s will open for a late lunch from 1:45 to 3:30 p.m. For more information, visit www.calpolydining.com/myrons-brunch. January is the time for making resolutions and change for the coming year, so the College of Liberal Arts invites faculty and staff to participate in its New Year's Resolution campaign by making a resolution surrounding diversity and inclusion. 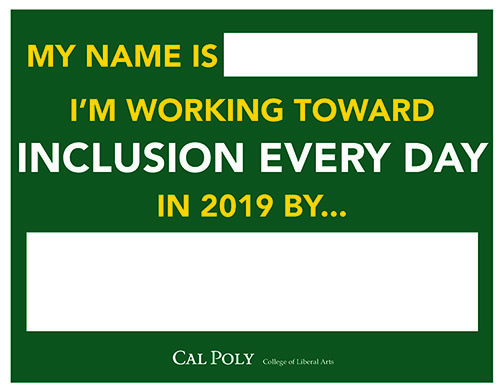 The college encourages faculty and staff to fill out the resolution sign with a personal commitment to "Working Toward Inclusion Every Day," and post the sign on their door or window to show their plans for 2019. Suggestions include talking about your commitment toward developing your cultural competence, increasing your knowledge of inclusive teaching strategies ,or joining a book circle via CTLT on diversity and inclusion. Stating your commitment to learning more about inclusive design or supporting undocumented students and their communities are ways you can make a difference this year. Take a selfie with your resolution and share to social media using the hashtag #workingtowardinclusioneveryday. The fee waiver program provides eligible faculty, staff and management employees the opportunity to attend classes at CSU campuses at greatly reduced rates. This benefit may also be transferred to eligible dependents. For information regarding eligibility, guidelines, procedures, fees and deadlines, visit the Educational Fee Waiver Program website. For more information, contact Terizza Miller at feewaiverslo@calpoly.edu. The Instructionally Related Activities Advisory Committee has announced a call for proposals for fiscal year 2019-20 for any activities seeking first-time recognition. 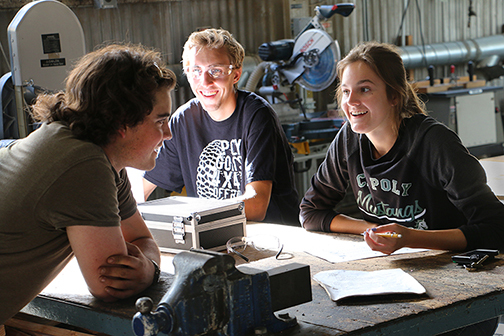 An Instructionally Related Activity (IRA) is an extracurricular "out-of-class experience" that provides enrichment to students and enhances their learning at Cal Poly. IRAs are closely linked to an academic program and/or the University Learning Objectives, but IRA funds cannot be used to fund specific projects or field trips as part of an academic course. Forms, instructions and relevant information can be found at http://www.academicprograms.calpoly.edu/content/IRA/index. Proposals for new IRAs will be due to college deans by Feb. 1. The call for continued recognition and funding requests for currently recognized IRAs will go out separately in late January and are due in March. 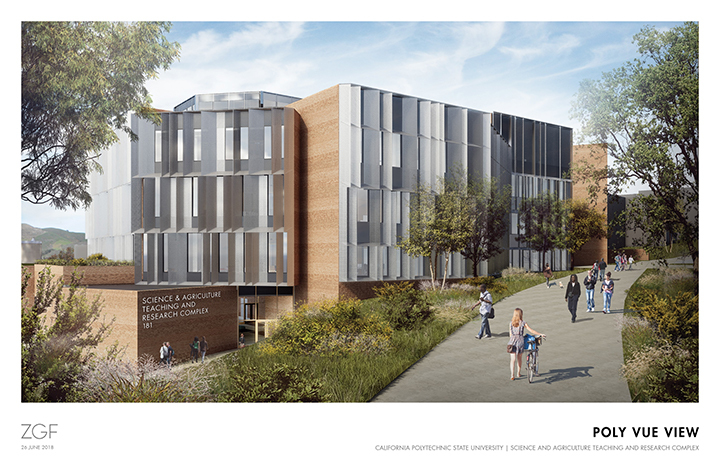 Join the Cal Poly Retired Faculty and Staff Club as it learns about the planned Science and Agriculture Teaching and Research Complex, and get an update on the College of Liberal Arts at a luncheon from 11:30 a.m. to 1 p.m. Wednesday, Feb. 27, at the Dairy Innovation Institute (No. 18-A). The program will include a luncheon and guest speakers Phil Bailey, director of Frost Endowment, who will provide an overview of the Science and Agriculture Teaching and Research Complex building; and Kathryn Rummell, interim dean of the College of Liberal Arts, who will provide highlights of the College of Liberal Arts and the Expressive Technology Studios (ETS) to be housed in the Science and Agriculture Teaching and Research Complex. Grounded in the Learn by Doing mission, the new ETS — located in the heart of campus — will create an interdisciplinary space that brings together technology with the liberal arts. Learn more about the ETS at https://cla.calpoly.edu/expressive-technology-studios. The cost is $16. 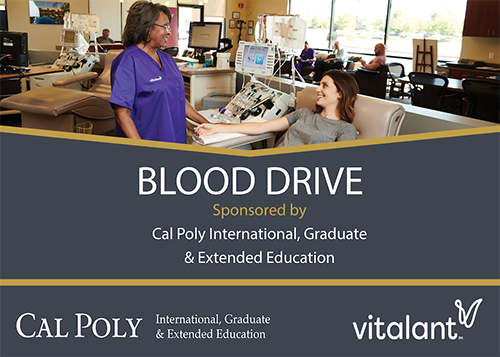 For more information or to RSVP, contact Gail Simmons at gsimmons@calpoly.edu or 805-462-9148. RSVP by Feb. 19. The German Conversation Table meets every other Thursday starting Jan. 17 from 11:15 a.m. to noon in the Faculty Fishbowls, 220, near Julian’s Café in Kennedy Library. The Italian Conversation Group will meet every Thursday starting from 5 to 6 p.m. in the World Languages Lab, Erhart Agriculture Building (No. 10), Room 128. The Russian Conversation Table will meet every other Thursday starting Jan. 24 from 11:15 a.m. to noon in the Faculty Fishbowls, 220, in Kennedy Library. The Vietnamese Group meets every Friday at noon in the Center for Service in Action Lounge in the Science Building (No. 52) Room E22. No prior experience is necessary for any of the conversation groups, just an interest in the language. More details are on the World Languages and Cultures Department website. 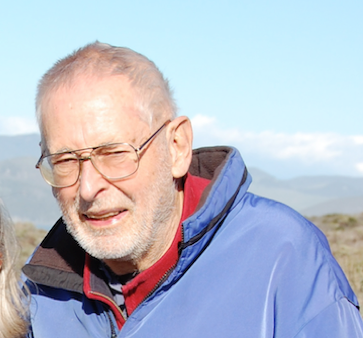 Physics Professor Emeritus David Hafemeister will present a talk titled “Back Channel Negotiations in Moscow at the End of the Cold War” from 11:10 a.m. to noon Thursday, Jan. 31, in Science North (No. 53), Room 215. Hafemeister will speak about his experiences representing the Senate Foreign Relations Committee in the former Soviet Union during the final two weeks of the country’s existence in December 1991. This experience was the culmination of his science-based outreach to the USSR on arms control issues that spanned more than a decade. Hafemeister served as an advisor on nuclear weapons and arms control issues for the U.S. Senate Foreign Relations and Governmental Affairs Committees, the Office of Senator John Glenn, the Office of the Under Secretary of State, and multiple other governmental offices and agencies. 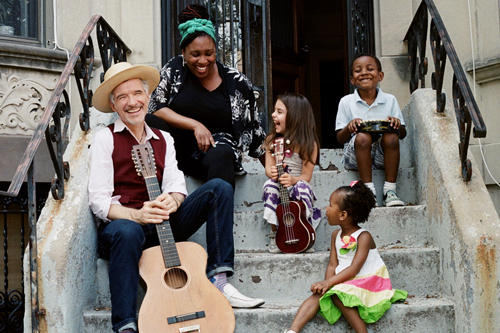 Dan Zanes and Claudia Eliaza will perform at 2 p.m. Saturday, Feb. 2, in Spanos Theatre, presented by Cal Poly Arts. Grammy Award-winning master guitarist Zanes and Haitian-American jazz vocalist Eliaza perform fan-favorite songs as well as the children’s music of folk icon Lead Belly. This highly interactive concert is filled with a variety of folk traditions that are homespun, sophisticated and artful. 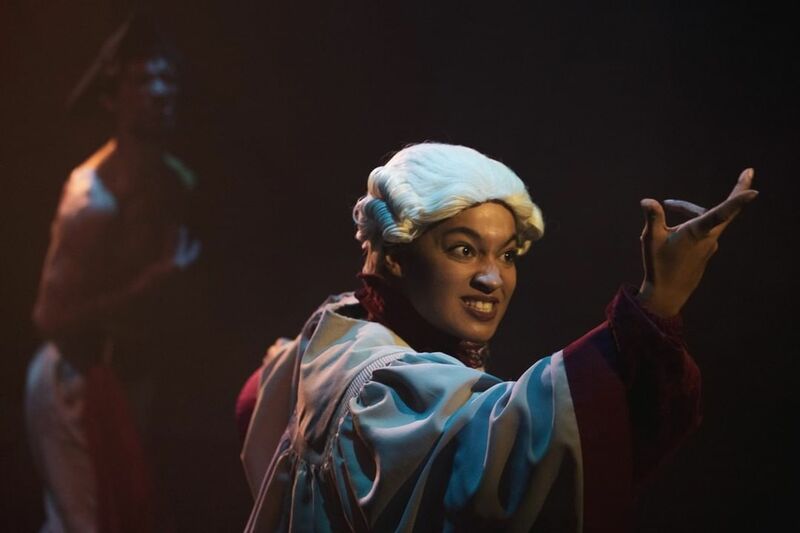 Audiences are invited to sing and dance along in what might be called a casual — and subversively educational — party atmosphere. Tickets are $18 for students, faculty and staff. They can be purchased at the Cal Poly Ticket Office from noon to 6 p.m., by calling ext. 6-4849, or online on the PAC website. 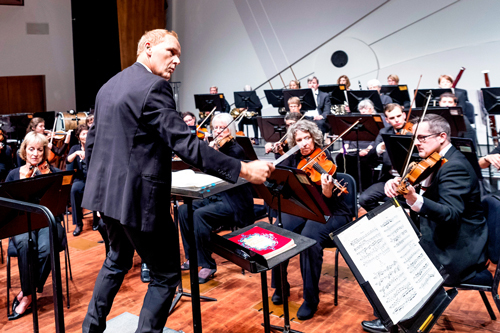 SLO Symphony will perform its third concert of the season, "Spanish Guitar," at 7:30 p.m. Saturday, Feb. 2, in Miossi Hall, presented by SLO Symphony. 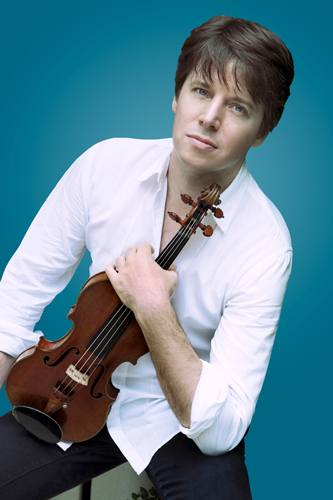 The show will feature works by Turina, Rodrigo, Sierra and Rimsky-Korsakov, and will feature guitarist Jason Vieaux. 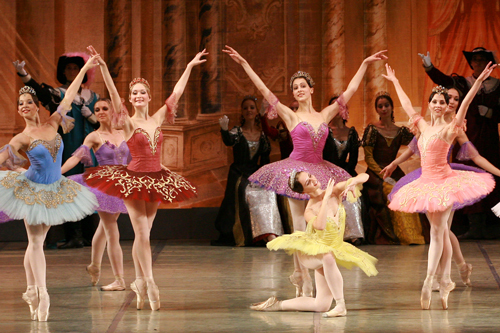 Tickets range from $20-$87 and can be purchased at the Cal Poly Ticket Office from noon to 6 p.m., by calling ext. 6-4849, or online on the PAC website. 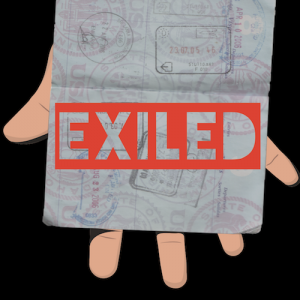 Katya Cengel, freelance writer and journalism lecturer at Cal Poly, will discuss her new book, "Exiled: From the Killing Fields of Cambodia to California and Back," published by the University of Nebraska Press, from 10 to 11:30 a.m. Friday, Feb. 22, in the Advanced Technology Laboratories (No. 7). to Cengel has published in many high-profile publications, including The Washington Post, Newsweek and The Wall Street Journal. Margaret Bodemer, a specialist in Southeast Asia who teaches both Asian and American history at Cal Poly, will serve as Cengel’s conversational partner. There will be time for audience questions, and light refreshments will be served. More information about a this event can be found online here. Visit Kennedy Library’s Conversations with Cal Poly Authors to explore previous events and podcasts. Swimming and Diving vs. UC Santa Barbara, Anderson Aquatic Center, 11 a.m.
Wrestling vs. Oregon State, Mott Athletics Center, 1 p.m. Baseball vs. Alumni, Baggett Stadium, 1 p.m.
#105168 — Assistant Director for Scholarships (Administrator I), Academic Affairs — Financial Aid. Salary commensurate with background and experience of the individual selected. Open until filled. Review begins Feb. 22. #105169 — Tutor Coordinator (Student Services Professional II), Academic Affairs — Academic Programs and Planning — University Writing and Rhetoric Center. $4,179-$5,942 per month. (Anticipated hiring range: $4,179-$4,300 per month.) Open until filled. #105170 — Human Resources Assistant (Administrative Support Assistant II), Administration and Finance — Human Resources. $2,600-$4,458 per month. (Anticipated hiring range: $2,600-$3,000 per month.) Open until filled. Review begins Feb. 8. #105171 — Director of Data Management (Administrator II), President's Office — Data Management. Salary commensurate with background and experience of the individual selected. Open until filled. Review begins Feb. 22. 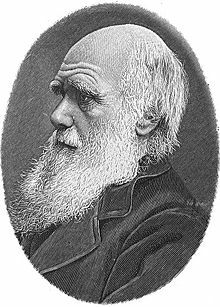 #105160 — Oppenheimer Family Equine Center Manager (Administrator I), Academic Affairs — College of Agriculture, Food and Environmental Sciences — Animal Science. Salary commensurate with background and experience of the individual selected. Open until filled. Review begins Feb. 19. #105156 — Full Time/Temporary Lecturer in Communication Studies, College of Liberal Arts. Open until filled. Food Program Supervisor (Children's Center), $17.50/hour with excellent benefits. Position open until filled.